Airbnb has been in a heated, contentious battle with both the state of New York and New York City over the right for its community to exist. That fighting appears to be over for now and this time the city has won. The home sharing website Airbnb filed suit against both the state and the city in October after Governor Andrew Cuomo enacted heavy fines of up to $7,500 for anyone listing their residences for rent for fewer than 30 days in multi-unit New York City buildings, if the owner or tenant isn’t in the home during the guest’s stay -- a law on the books since 2010. This is part of a fight against technology’s latest solution to cheaper stays away from home. Now opponents of home sharing companies such as Airbnb have reason to rejoice. Late last week, the company agreed to drop its lawsuit against New York City after officials agreed that the law would not be enforced against the company, but just against individual violators. This follows Airbnb's dropping a similar lawsuit against New York State days before Thanksgiving to focus on its lawsuit against the city, because the regulations they were challenging were just in New York City not state-wide. Airbnb originally contended that ambiguity with the law could open it up for the city regulators to come after online platforms like itself or others for penalties and even open them up for civil and criminal liability. 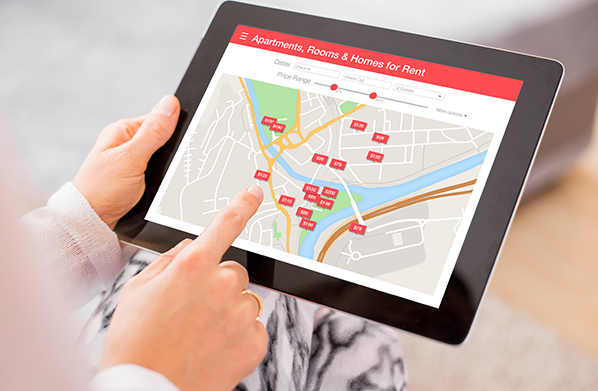 As a middle-man or marketplace for hosts and guests to meet and conduct business, Airbnb argued that it shouldn’t be held legally responsible for how renters use the platforms. “As Airbnb knows, this state law does not target their company,” de Blasio spokeswoman Melissa Grace said in a statement. “Instead, it provides the City with an additional tool to use against those seeking to turn permanent homes into illegal, short-term stay hotels. The city will enforce this and other existing laws against bad actors, and appreciates the additional enforcement powers this new tool provides to protect New Yorkers and visitors from unsafe conditions." Airbnb has also agreed to greater policing of its community by enforcing a “one host, one home” policy in New York that would limit hosts to only renting out one home. This has major implications for renters with multiple properties. The idea behind home sharing is that you are sharing your home with complete strangers. As a host you get paid and offer travelers a taste of life in your home and community. Guests experience a different community and city at (often) a far cheaper price than traditional hotels. Home sharing has been disrupting the traditional hospitality industry, eating away at the profits of the hotel industry by flooding the market with a larger supply of rooms. These options have been helpful during popular festivals, events, and holidays when hotels often sell out and hike prices. While Airbnb is not out of New York, enforcing the new rule will likely make hundreds, if not thousands, of listings disappear. Furthermore, it exposes Airbnb’s Achilles heel to other cities. Airbnb has already agreed to toughen up on home sharing overseas. We can expect to see more of this in the future.